Marco Santilli develops his compositions by carefully blending influences from different European styles, including classical, contemporary and folk music as well as world music. His unique style emerges from this combination of different genres in such a way that their various sources are no longer recognizable. If we had to label “La Stüa”, we would find it categorized under “jazz”. Jazz in the sense of an open style of music and, typically Santilli, in Italian. In Italian? Yes, because although these are instrumental pieces, they reflect certain kinds of mood, themes and melodies that hark back to the musicality of his mother tongue. Compositions commissioned by the International Alpentöne (Alpine Sounds) Festival are inspired by daydreams in the “Stüa” * recreated at the Leventina Museum in Giornico in Italian Switzerland. Here, as a boy, he gave his grandfather, the Museum’s curator, a hand whenever it was necessary to explain to tourists the use of the antique objects on display. And even then he found himself improvising. The art of story-telling has remained with him. Today, however, he tackles stories instrumentally. His village of origin and Switzerland in general continue to be a source of inspiration for many of his compositions, which Santilli refines and develops with jazz improvisations. Memories reawaken images with vivid colours, translated into diverse timbres for chamber or orchestral settings, with echoes of big bands or his own expression of rock. To enlarge his jazz quartet “CheRoba” (the idiomatic equivalent of ‘wow’), Santilli turned to “Il fiato delle Alpi” (the breath of the Alps), a quintet of low register wind instruments: alto flute and cor anglais (instead of the oboe), and contrabass clarinet which, together with the French horn and bassoon, help make the sounds warmer and more intense. Marco Santilli has surrounded himself with trusted associates to represent this journey along the Swiss north-south axis during which, probably for the first time, a jazz quartet meets a classical wind quintet in a musical context “(CH)ontaminato” (a pun on Switzerland (CH) and contaminated). 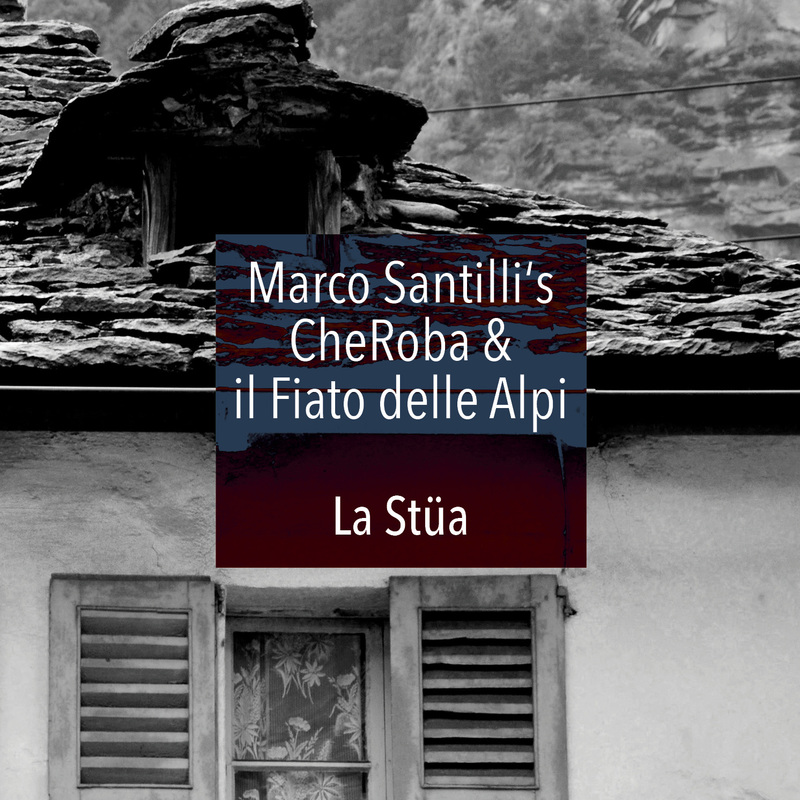 * Stüa – the local dialect term for the living room in traditional houses of the Leventina Valley. Usually the only room that was heated (by a stove) in which most of the household’s activities would take place. by Bird is the worm, 18.02.2017.